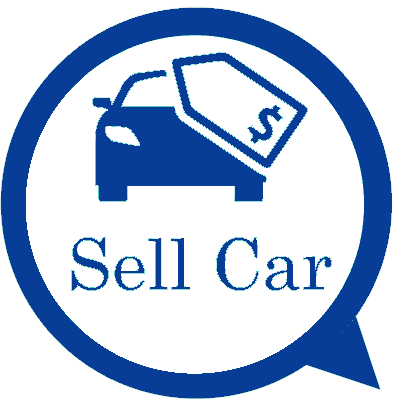 Auckland Car Buyer is a leading cash for car business in Auckland that provides a quality car selling experience for car sellers. We service the Inner City, North Shore, the East & West, Manukau and the South, offering stellar car selling experience for car owners looking to sell their old, used or unwanted cars. While we provide premium services, we understand that not all cars that we purchase are in premium shape. But no matter what the condition of your car, with Auckland Car Buyer, you have an instant buyer for it. We buy all makes, models & conditions of cars & trucks. We have a team of experts, who are also car enthusiasts, that appreciate used cars just as they do scrap cars. And since we are car sellers, wreckers & recyclers, all rolled into one, you can get maximum value for your car with us. With our expertise in the auto industry, we can provide eco-friendly services such as our car recycling Auckland. Our car recycling is considered green car recycling as we recycle every part of a car or truck that can be recycled, ensuring that we leave only the smallest carbon imprint on the environment. Auckland Car Buyer is also a buyer that is dependable when it comes to making good cash priced offers for cars of any make and condition. We provide our cash offers over the phone and online. Our company is designed to provide the best in a car selling experience, and we strive to make it the best sale of all sellers that sell their cars and trucks to us. With our many years of experience in the auto industry, we have built a solid reputation in the community. We take car to ensure that each of our customer is provided with quality services. Our services include cash for cars. Cash for cars is our way to purchase cars that car owners would like to sell to us. As the name implies, it is a simple cash exchange for the sale of their cars to us. We also provide the services of free car removals in our local area. Our service areas include the Inner City, North Shore, East & West, South, and Manukau. Our team consists of first-rate car appraisers that are so good at what they do that we seldom have sellers disappointed with our offers for their cars. We also have a crew of technicians that operate the tow trucks, working nearly round the clock to provide our customers with convenient removals. Our customer service representatives are polite and courteous and extremely knowledgeable about cars and our business. With Auckland Car buyer, car sellers have a team that works for them from start to finish, to provide them with a positive car selling experience. Step One – Get a quote. Quotes are provided over the phone and online. Step Two – Accept or reject our cash quote for your unwanted car or truck. Step Three – Schedule a free car removal Auckland. We believe there is no easier way to sell your car then to us. To obtain a cash quote for the sale of your car, contact Auckland Car Buyer at 0800114311. We also provide quotes online. Just complete our "Get a Quote" form and we will get back to you with a quote at the earliest.